The reason we're here, why our shop exists, is to bring something unusual and great - on and off the bike - to a handful of cyclists each year. And while our Ready Made bikes will bring you Speedvagen's technology and design, with Custom you are getting the full Speedvagen experience. 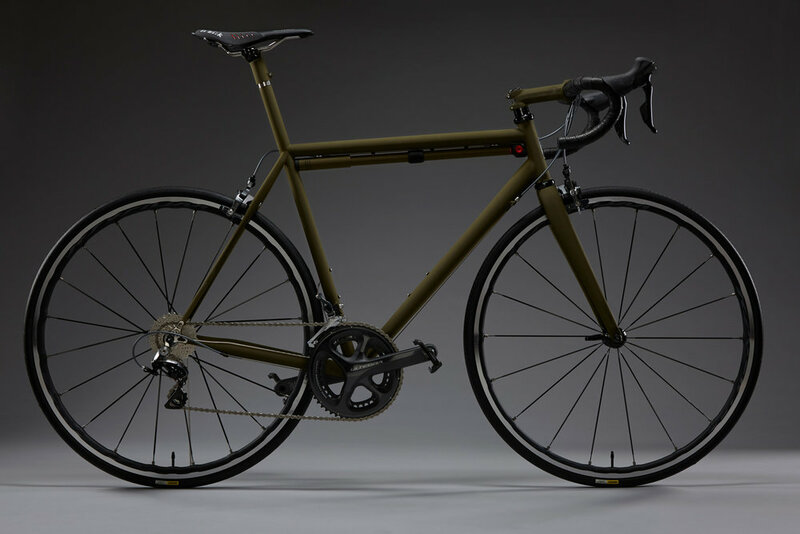 We’ll lead you through all of the tasty paint combinations, standard, or superlight frame designs, the best components in the world and of course... the Speedvagen custom fit. 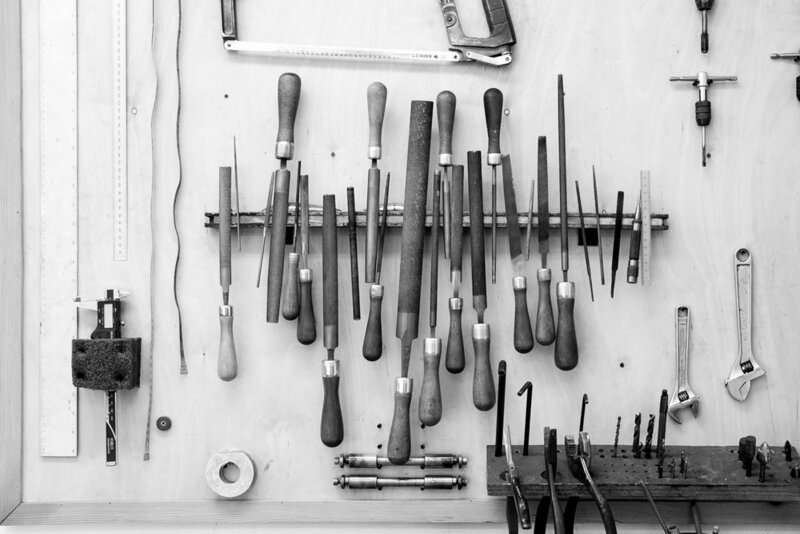 The time and care we put into each custom bike goes into hundreds of details big and small. Each refinement alone is not revolutionary, but when put together make for a rarified gestalt experience, on and off the bike. This sum, greater than each part, is a feeling—an emotion for how the bike rides that only a Speedvagen can give you. From start to finish, we put an average of 150 hours into each and every Speedvagen. Ask around and you’ll find that in the world of custom bikes, this is an extraordinary amount of time. A mass produced steel frame can take just an hour to build while a basic custom frame can take as little as ten hours. If you’re interested in Full Custom, then you’re signing up to be a part of this journey with us. What follows below is a high level description of the process. For a deeper dive into the details and pricing, check out the 2017 guidebook. We see it over and over and over again – a great fit benefits every rider. And while there are a lot of fitters around the world, a great fitting comes from experience and perspective. One part of a good fit is being in the right shape on the bike. This comes from the right saddle height, angle of the back and how the arms are coming into the torso. And while the right shape can be achieved on a stock size by changing the length of stem, seatpost setback, etc, this also effects if the rider has too much weight on the front or back of the bike. And how a rider is weighting the bike effects how the bike performs. This shifting of weight is what we call balance and balance is one of the main ingredients in Speedvagen's secret sauce. Here's the deal: A rider can have the right shape on the bike, but have their weight shifted too far forward, or too far back. A rider is balanced above the bike when their center of gravity isn't shifted forward, or back, but instead is centered on the bike. The result of being balanced is a bike that you are connected to and working with, rather than fighting against. Sounds abstract? Don't worry, we'll get your position perfected. Most of our customers either visit our Portland, Oregon workshop to be fitted, or meet up with us on one of our Fitting Tours. Once we get the fit right, we’ll design your frame from the ground up to have awesome racy proportions and ride just the way it should; nimble, fun, stable, and fast as H.E. double hockey sticks. Next we'll design your Speedvagen from the ground up. 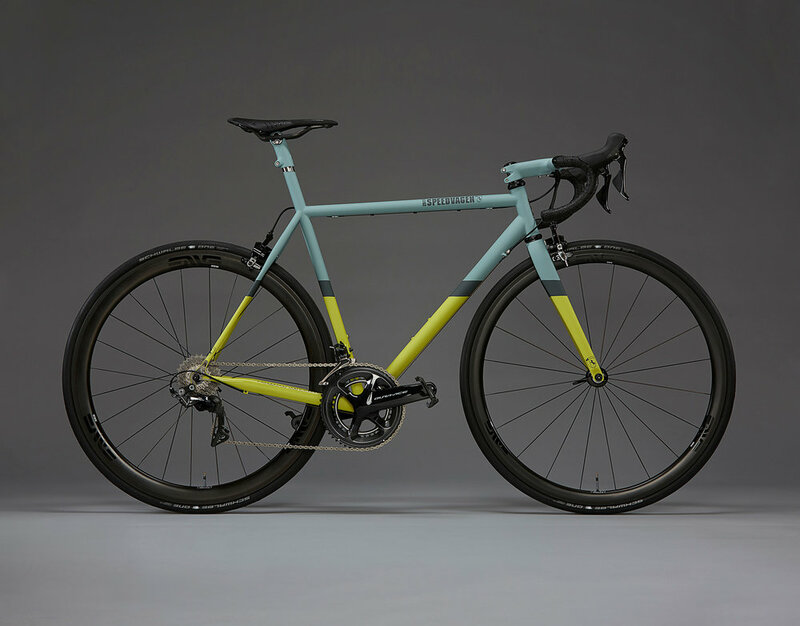 Starting with your fit coordinates, we'll design the bike to look proper - like a great race machine should - and give you the unbelievable ride that Speedvagen has become known for. Then we get into the fun stuff – dialing the build to your specifications. That means taking the already feature-packed frame and selecting optional upgrades like electronic integration, an Enve carbon seat tube, or disc brakes to your dream bike. Next we’ll select the build kit and components and move on to everyone’e favorite part...Paint! Your fit is dialed, the upgrades and components are selected, the only thing left to do is pick a paint scheme and colors. Decisions, decisions... Each year there are four standard schemes to choose from, each puts your Speedvagen somewhere on the scale of “classy” to “murdered out, tech-y race machine.” For 2017 we are offering 5 graphic styles: Ghost, Overt, Hollatext and Horizon. And of course, there’s always the Surprise Me option – Sacha’s choice, no hints, no regrets. 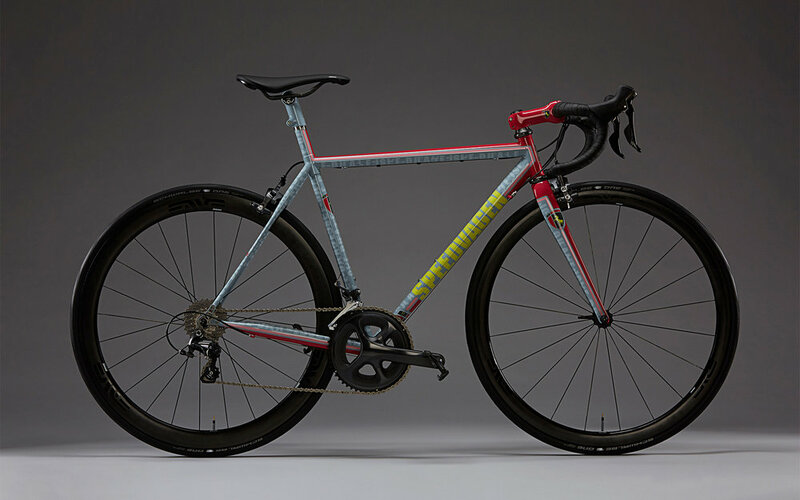 Seriously – Surprise Me is our most popular option, which we feel is a reflection of the gusto of Speedvagen riders and their trust in our design sensibilities. This is the hardest part... waiting while we do our thing. The good news is we’ve gotten the wait for a full custom bike down to as little as six weeks (call for current lead times). And during those six short weeks we’ll be putting a ton of time, craft and love into your frame and keeping you in the loop. From design to final build, we do everything under one roof, meaning there is no loss in translation from fit to design to fabrication to paint to build. Everyone at the workshop is focused on delivering your dream bike to your exact specifications. When you order a complete bike, the final build and race tuning is lead by our master mechanic. This means that every detail is dialed; from fit (saddle position, number of spacers, tilt of saddle, handlebars and hoods), cable finishing, and even orientation of certain parts so that logo placement is just so. Let’s go even deeper. Our mechanic will be treating the inside of the frame with a sealant after paint to protect from the elements, greasing every single threaded part before install, facing surfaces where parts mate with the frame so that bearings are perfectly square to each other, dusting inner tubes before installing them onto wheels, and installing bolts with Locktite so that they stay put and properly adjusted. All of these details put together make for a better ride and a better experience owning and maintaining a machine. Building up each Speedvagen ourselves is how we ensure the whole package is just right.